Choosing to be diverse with your hair can only bring you benefits, so learn how to create fabulous braided hairstyles which will make you stand out every single time. Braided hairstyles are uber-popular this season, so give them a try and select your favorite looks. 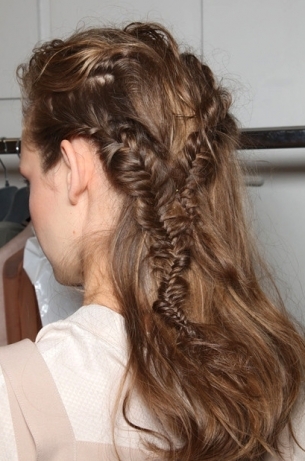 There are so many fabulous hairstyles out there it is absolutely amazing! Grab your styling tools and start experimenting with different flirty braided hairstyles which will make you look like a true hair diva. The fact that hairstyles can do wonders for your look and style is old news, so take advantage of the benefits hairstyles can bring and start experimenting. 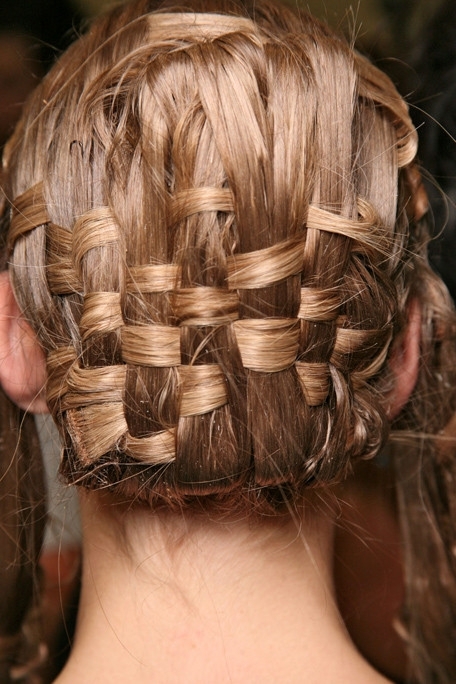 The multitude of hair braiding techniques out there enable you to be creative with your hair and make the best of it every single time. If you've got the necessary hair length, your options as far as hair styling are endless. For those who sport a shorter haircut (medium), clip-in hair extensions can be the answer to your problem as they offer the instant hair length you wish without causing any damage to your hair. 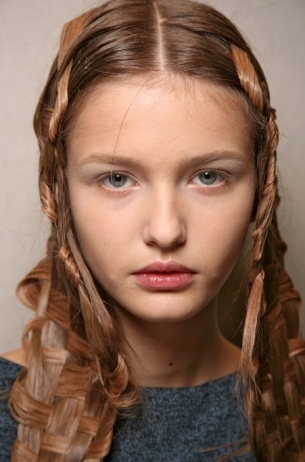 Loose hairstyles can be a bit boring, way too common for a hair style diva, so spice things up a bit by opting to incorporate a few stylish hair braids. 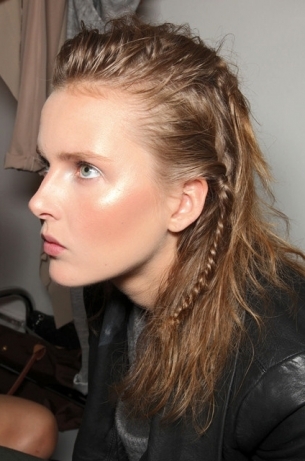 You can go for thin, simple hair braids created on one or both sides of the head or you can go bold and test your skills by opting for a sophisticated hair braiding technique, a woven type of braid that will instantly steal the attention, giving you a bit of an edgy vibe. 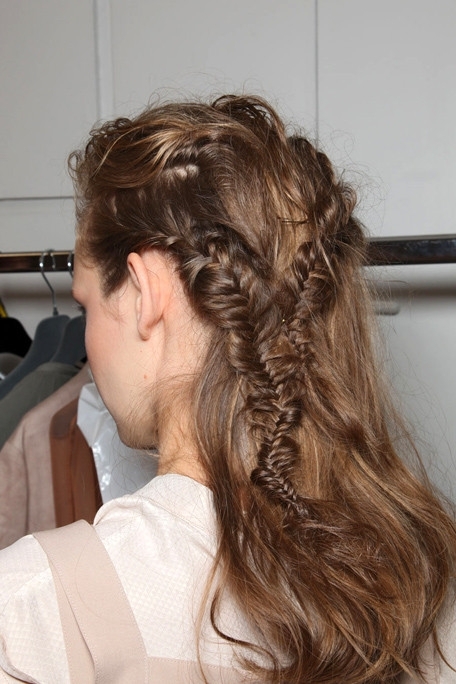 If you're looking for a bit of romanticism, a stylish French braid which separates at the nape of the neck into two simple braids can definitely do the trick. 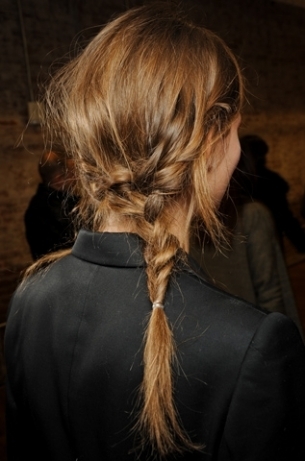 Experiment with different techniques and make the best out of your hair. This year is the year of the updo as there are so many ways you can style an updo it's amazing, enabling you to create a different fabulous and flirty look for different types of events. Updo hairstyles are perfect for the summer as they help keep the hair off your hot skin, boosting the comfort as well as the style and beauty, hence they reveal the facial features greatly. 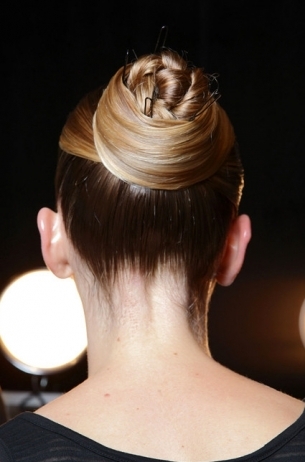 Incorporate stylish hair braids and pull your hair into a stylish bun which you'll secure with bobby pins. Mix sleek tresses with stylish braids or go for an all over braided updo for a cool and edgy look if you're ready to make a fashion statement. A classic ponytail can be upgraded and turned into a super fun and flirty hairstyle by adding a few braids to the ponytail. 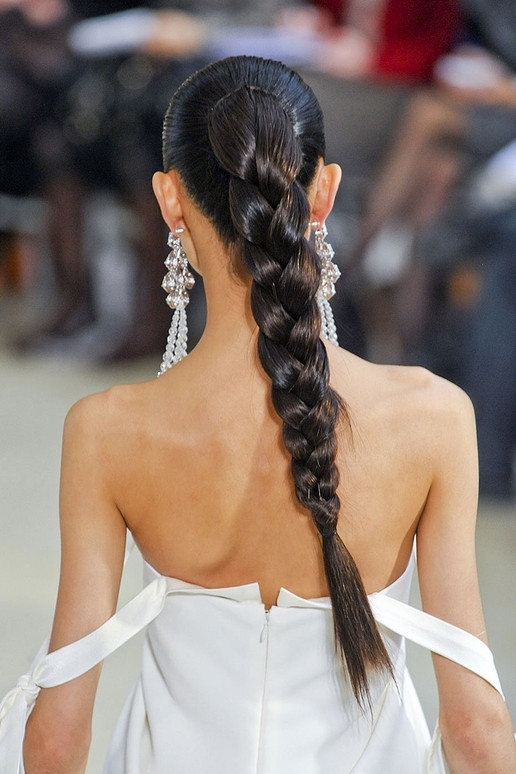 You can keep things simple by turning towards the help of simple and thin hair braids or you can go bold and make a statement by creating a gorgeous side herringbone braid or by braiding a stylish scarf into your braided ponytail. Make the best out of your look and try to be diverse with your hair so you can experience that hair envy everyone's looking for.